The indie rock band Mutemath doesn’t fit the textbook definition of a Christian rock group. The songs don’t make vague references to a higher power and our need to live according to a moral code. And each song isn’t an over-the-top anthem that just oozes with righteousness. But the church did play a significant role in the band’s formation. Kings says he and his mother would drive 30 miles to go to the church where Meany and Co. were stationed. In the wake of that band’s dissolution, King lived with Meany and his wife and their three dogs while holding down a day job at Macaroni Grill as a waiter. The two would eventually form the artsy indie rock group Mutemath in 2002. In 2006, Warner Bros. would re-release their self-titled debut and then issue their next two albums, helping the band develop its small but rabid fanbase. But the group left Warner Bros. four years ago. After taking a short break, the band starting write songs for what would become last year’s Vitals, its first studio effort in four years. With its vintage guitars, Rhodes keyboards, synthesizers and other electronic instruments and soulful vocals, the songs on the album have a retro-feel to them. When they started writing the songs for Vitals, King was living in the basement of a print shop. He and Meany would meet there, close the metal vault door and “lose all track of time” as they worked on writing and recording. The jittery, synth-heavy opening song “Joy Rides” has a great energy to it and sounds like something the Pet Shop Boys might have recorded during their prime. The somber, Coldplay-like “All I See” features a terrific vocal performance that finds Meany adopting a soulful falsetto. “Bulletproof” has ricocheting synths and emphasizes texture over melody. It seems like the type of song that would translate particularly well live as its echoing percussion packs a real punch. King says the band has always enjoyed its visits to Cleveland and says he’s determined to finally visit the Rock Hall when the band comes to town this time. 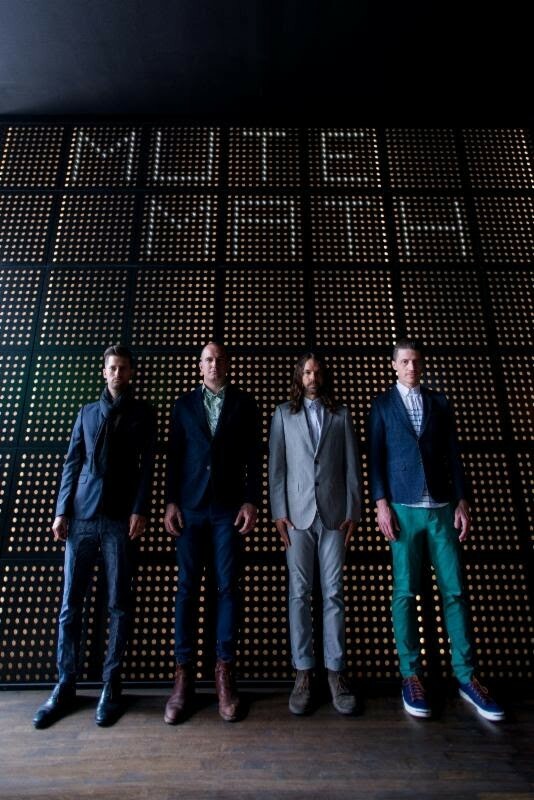 Mutemath, Paper Route, 7 p.m. Tuesday, March 29. House of Blues, 308 Euclid Ave., 216-523-2583. Tickets: $22, houseofblues.com.